What was once a 24-hour shopping extravaganza is now a week-long event. 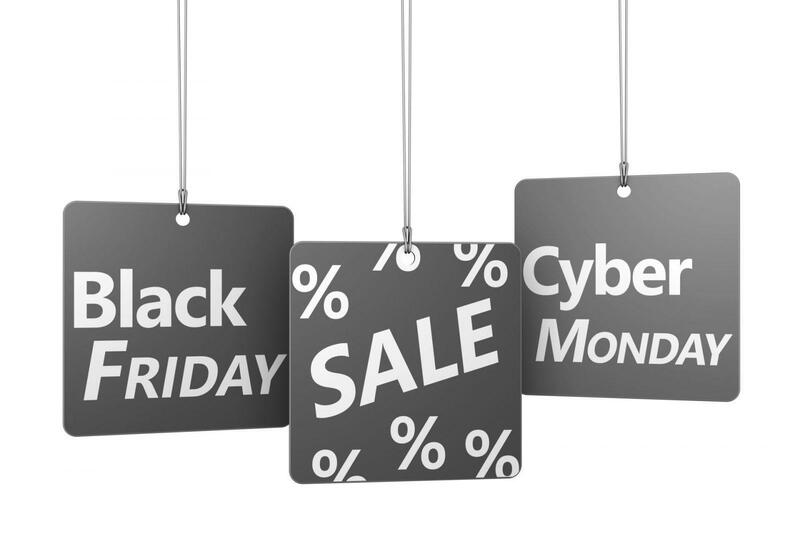 Yes, we’re talking about the much-awaited Black Friday and Cyber Monday sales. BFCM is an exciting time since everyone is gung-ho about shopping and spending time with their families and taking that much-awaited work break. However, it can get overwhelming if your selling online and don’t have the right BFCM marketing strategies in place. We’re here to help you navigate through those hurdles and help you make the best of this shopping season with nifty strategies and insights. To begin with, you need more people to visit your website and this means you need a smart website address that people will remember and one that will help you boost SEO. Ever since the internet came into existence, domain names have played a significant role in a business’s online identity. However, in the current world of advanced technology and smart marketing, domain names have evolved to become much more than mere website addresses. They are now the online identity and the first point of engagement for businesses to build an impression and come across as sharp and bold brands. To win at BFCM marketing this year, it is essential to break through the noise and clutter of other websites and stand out from the crowd by strategically using a relevant and memorable new domain extension such as .store to draw people’s attention to your website. When it comes to BFCM promotions, you are going to go all out on social media to get people to land on your website and to promote your sale. This means you are going to share several links from your website on your social media handles. Did you know that you can shorten and customize every link that you share online and label it with your own brand name? A major goal of your BFCM marketing strategy should be to pip your peers to come across as a smart and savvy website. A contextually intuitive and striking domain name can help you here. You can use a clean domain name with .STORE to redirect users to your original website or your BFCM lander page. long or complicated URLs. With a short, crisp, and snappy domain name such as www.thecrazyshirt.store, you can redirect to your landing page and imprint your brand’s campaign microsites or landing pages for your BFCM sale in the minds of your target audience. For your BFCM marketing, it is likely that you will promote offline too. And if you plan to use custom URLs as mentioned above, then your website will surely witness a surge in traffic as will any inner page or microsites that you’re advertising. In case you are exhibiting at an event or through print media, a domain redirect will make it easy for you to share an actionable link that is easy to remember and catchy. A contextual and meaningful link such as www.kickass.store will help you to retain the website name in the minds of your customers. To ensure that your BFCM landing age or campaign page ranks high on search engines it is wise to use contextually relevant domain names that include specific keywords or specific anchor text. A keyword rich domain name is pivotal to attract high-quality backlinks which will help your page to rank higher on search engines and boost overall SEO and organic marketing. Of course, content authenticity plays an important role. However, your anchor text is crucial to building backlink traction. For example, www.lifeandstyle.store will attract backlinks on the anchor text ‘Life and Style Store’ from credible websites. This will give search engines a positive indication regarding the authenticity of your website. This way, the more backlinks you get, your organic search rank will improve. Needles to mention that this will improve your organic traffic. So, there you have it, four nifty and inexpensive strategies to help you nail your marketing this BFCM season. Sell more during the holiday season with a .store domain name.